Swettenham Stud has catalogued four mares in foal to Toronado (Ire) and another in foal to Japanese Horse of the Year and former international superstar Lord Kanaloa at the Magic Millions National Sale. The quartet are among a quality consignment entered for the Broodmare Sale starting this Wednesday, June 1. Swettenham owner Adam Sangster has entered Vamoose (Jpn) on behalf of the late Phil Sly. A half-sister to Group 1 Caulfield Cup winner Admire Rakti, she will be in the spotlight as Lot 909 on Thursday afternoon. Sly bred Vamoose to Lord Kanaloa to southern hemisphere time last September. He won 6 times at Group 1 level including repeat editions of the HKJC Hong Kong International Sprint before retiring to stud with books of 250 and 267 mares in his first two northern seasons in Japan. 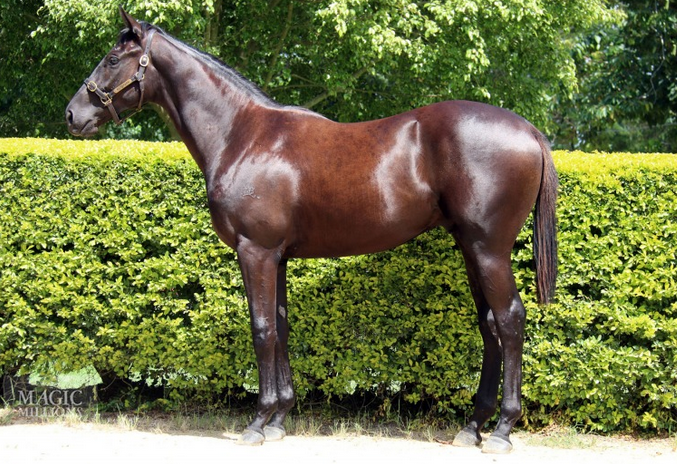 Swettenham’s first mare entered in foal to Toronado is Miss Valley Road (Lot 714). She’s had two to the races for two winners including the high earning current 2yo Valliano (Listed Inglis 2YO Premier). Next to parade is Northeast Note (Lot 734) and she’s also foaled a sales-related winner in the shape of Northkape (Inglis VOBIS Gold 2YO Plate). “Toronado has upwards of 150 mares ready to foal in the spring and we’re honoured Al Shaqab Racing entrusted us to stand him in Australia,” Sangster said at the Gold Coast sale-grounds on Friday. “We’re getting some very encouraging reports about his first foals in England. Sangster sold Moretti (More Than Ready) in foal to Toronado for $170,000 at the Inglis Australian Broodmare Sale earlier this month. She is a half-sister to Group 1 winner Bentley Biscuit and was purchased by China Horse Club. Zodiac Queen (Lot 954) and Anna Dana (Lot 975) fill out the Toronado foursome at the Magic Millions and they both have perfect records at stud with a combined five winners from five starters. Zodiac Queen won 6 races in Adelaide and was also placed in the G3 Auraria Stakes while Anna Dana (USA) was stakes-placed in Kentucky and is from a half-sister to Street Cry. Toronado (High Chaparral) was unbeaten as a two year-old and completed a hat-trick in the Group 2 Champagne Stakes (1400m) at Doncaster. He graduated to a Group 1 victory at three in the Sussex Stakes (1600m) at Goodwood and struck again at the elite a year later in the Queen Anne Stakes (1600m) at Royal Ascot. Swettenham and Al Shaqab have kept him at a $22,000 (inc gst) fee for his second southern book in 2016. 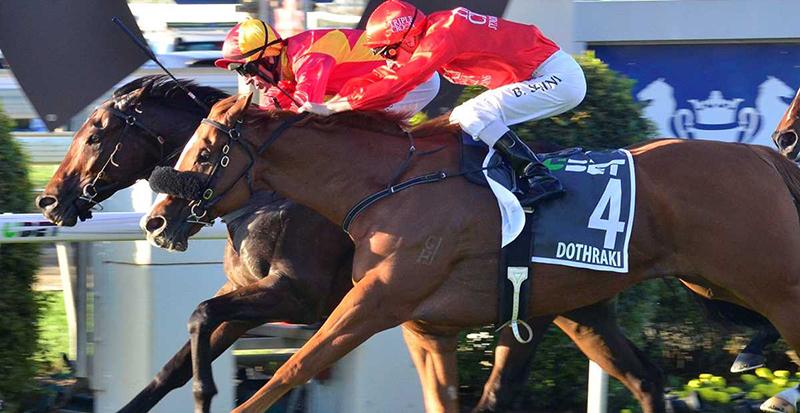 Music Magnate continued Written Tycoon’s dream run with another Group 1 in the Doomben 10,000 (1350m) on Saturday. It was the third Group 1 for the Woodside Park champion this year following Capitalist (Golden Slipper) and Luna Rossa (NZ Sires’ Produce Stakes). All up the sire has had seven stakes winners and eleven stakes wins for the season. It also capped off a week which involved no less 8 wins amongst his progeny including New Asia Sunrise in Hong Kong. Music Magnate (4g Written Tycoon – Concert Girl by Danehill Dancer) appreciated a frenetic speed battle up front before swooping late to score by three-quarters of a length from Azkadellia and Charlie Boy. “I’ve always had the winter in mind with this horse and we deliberately gave him an easy autumn,” winning trainer Bjorn Baker said. Baker also prepares Written Tycoon’s last-start Group 2 Doomben Champagne Classic winner Winning Rupert and he purchased Music Magnate for $45,000 at the 2013 NZ Karaka Select Sale. 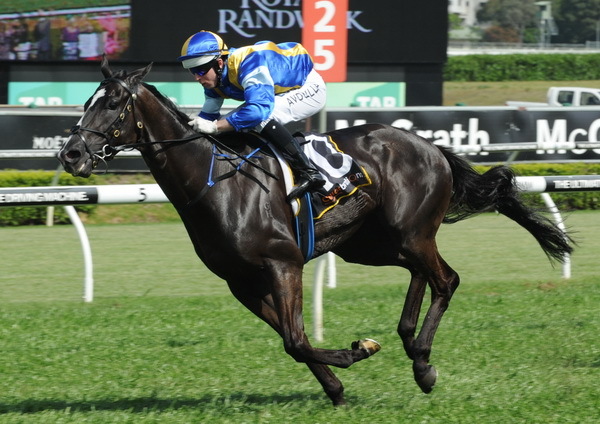 Music Magnate launched his career with a running double at Warwick Farm & Canterbury as a summer three year-old and only graduated to back-type company with a Group 3 victory in the Hall Mark Stakes at Randwick last month. Written Tycoon banked another $480,000 in progeny earnings from the Doomben 10,000 and he’s in third place on the Australian sires’ premiership behind Street Cry and Not A Single Doubt with $9.26 million. There’s more in prizemoney to come at the winter carnival with Baker targeting his stablemates at the Group 1 Stradbroke Hcp (Music Magnate) and Group 1 JJ Atkins Stakes (Winning Rupert). Written Tycoon is already booked out this year despite Woodside Park increasing his service fee from $19,800 to $49,500. It was a busy sale for Victorians both on the selling and buying side at the Magic Millions National Weanling Sale with progeny of Victorian sire Written Tycoon being a highlight. 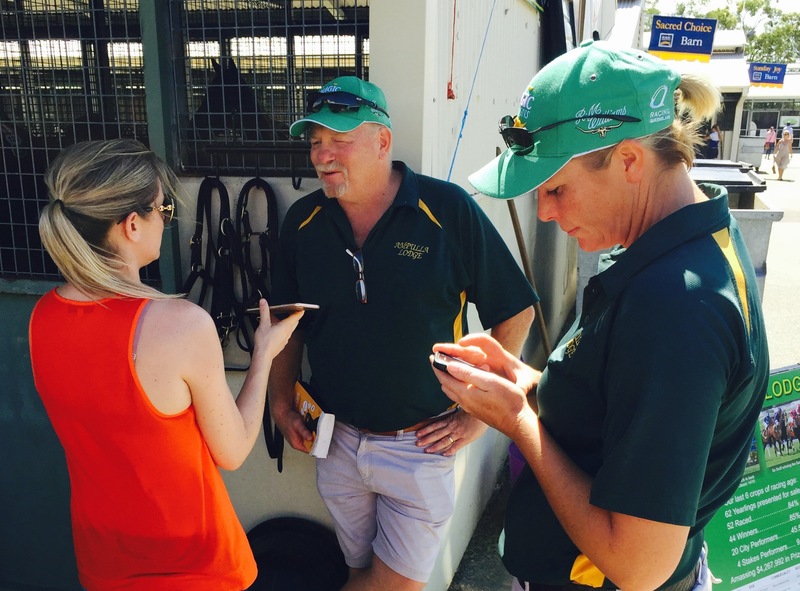 Leading agent James Harron sourced champion Written Tycoon colt Capitalist at the Magic Millions and he was back at the Gold Coast to target the latest crop of foals by Woodside Park’s champion sire on the Sunday. Harron paid $230,000 for the younger brother to Written Tycoon winner Fiftyshadesofgrey and $170,000 for the colt from Scenic mare Summery. Prominent amongst the buying bench at the sale so far have included Victorian breeders Ampulla Lodge, Musk Creek Farm, Rushton Park, Grange Thoroughbreds, Rosemont, Supreme Thoroughbreds, Sheamus Mills and Noorilim Park among others. “The brother to Fiftyshadesofgrey must have been one of the busiest weanlings on the complex,” Woodside Park’s Matt Tillett said. The grey colt was bred by Jo Dejewski and she boards his dam Talkin’ About at Woodside Park. The mare has also foaled Caveka who won at Moonee Valley for Peter Moody before transferring to Hong Kong. The Written Tycoon – Summery foal is a younger brother to the yearling colt Harron bought for $125,000 at the Melbourne Premier Sale in March. Buckley-based Erinvale Thoroughbreds sold a Fastnet Rock – Sorority Girl filly for $220,000 to agent James Bester. The O’Brien family’s Lauriston Thoroughbred Farm sold a Snitzel-Emilydelago for $135,000 to Kitchwin Hills. Top price for Three Bridges first crop sire Unencumbered during Sunday’s session was the colt from Tangerine Dream (Fr) that made $80,000 to the bid of Perth buyer Steve Gardner. He is a half-brother to Group 1 Tatt’s Tiara winner Pear Tart and is from the same family as recent Group 3 Adelaide National Stakes winner I Am A Star. NSW based Marquee Stud pin-hooked the Unencumbered – Denarii colt for $60,000. He is a half-brother to Stryker colt Baggio who launched his career with a winning double for trainer Gerald Ryan and owner Damien Flower earlier this year. Sun Stud freshman Fighting Sun was also targeted for the 2017 yearling sales by Amarina Farm owner Craig Anderson. He paid $65,000 for the colt from Sky Flyte (Darci Brahma) who is from the family of recent South African Group 2 winner Ovidio. It could be terribly deflating as a vendor to leave the sales complex with a horse that can’t meet a reserve of just $2,500. But for Janet Gaist and Peter Harris of Manner Lodge Thoroughbreds (Rochester) the failure to sell their Delzao-Runs On Dreams weanling at the 2013 Inglis Great Southern Sale has turned out for the best. Now three years old and named Runson, he is trained at Flemington by Team Corstens. He has won two of his four career starts and looks good enough to score a city standard race win. “Runson was mated by sheer luck to Delzao,” Janet said. “We bought the mare that was by Last Tycoon. She had a very good race record and she had been to some very good stallions and she was perfect for our then resident sire Muqbil. The colt was taken to the weanling sale where he was eventually passed in. “We took Runson him to the sale and he never came out of his box for an inspection,” Janet said. Runson suffered a paddock accident before he entered the stables of Leon and Troy Corstens so a great degree of patience was required. A debut Flemington jumpout in Feburary 2015 saw the very unfashionably bred Runson come up against (and take it to) another unraced two-year-old – Stay With Me, the blueblood daughter of Miss Finland who only months later would win the Group 1 Thousand Guineas. Runson’s race track debut didn’t come until December last year when he ran and won a 1000m maiden at Mornington. 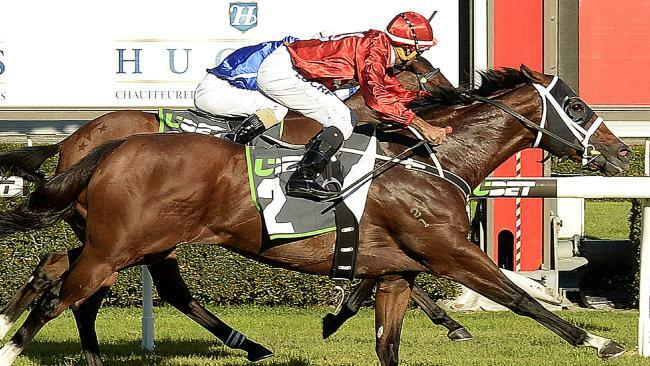 After a couple of unplaced starts at Caulfield, he was tipped out and then returned this preparation with a win at Pakenham last Thursday night. 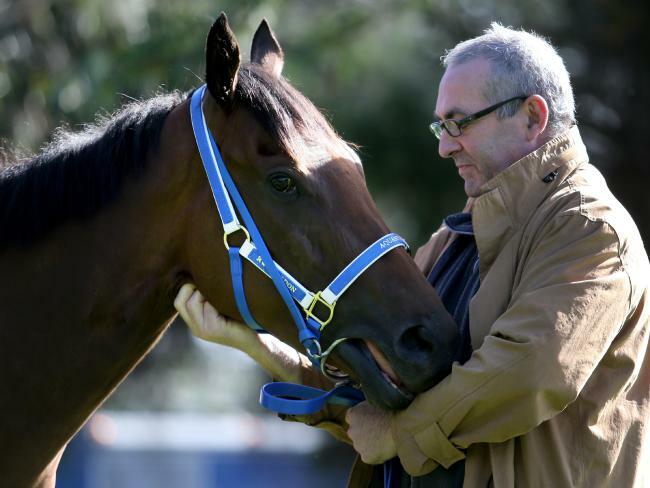 “He’s nothing too flash but he is a really nice horse,” said trainer Troy Corstens. “There’s no bell or whistles about him, which is much like (his breeder-owners) Janet and Pete. “I’ve had a couple with them before but Runson is clearly one of the best from Manner Lodge. Corstens indicated they might look at a 1000 metre race up the famed Flemington straight in mid June for Runson’s next start. Runson’s dam Runs On Dreams is still at Manner Lodge. She has a Elzaam yearling which Janet rates highly. UK shuttler Elzaam stood one season at Woodside Park and still stands in Ireland. “The Elzaam half brother is exactly like Runson in every way but a nicer type,” Janet said. Incidentally, the first of the two year olds by Elzaam have started racing in the UK and Ireland and have racked upseveral wins already. Runs on Dreams in now in foal to Unencumbered. Moshe has taken another step towards Victoria’s first-season sires’ premiership with a third winner at Sandown on Saturday. Moshway landed the Samson Hcp (1200m) first-up on the Lakeside circuit for trainer Mick Sell. The Kyneton-based youngster drifted in betting on the Soft 7 surface but had enough in reserve to lead all the way after a four-month spell. Moshe is leading the Victorian first-season table from Darley sire Helmet. The Sun Stud resident opened his account with Adelaide stakes winner Moshki in March and followed up with Echuca maiden winner If You Will last month. Interestingly, Moshe and Helmet are the only two First Crop Sires to record stakes winners in Australia this season. Moshway (2g Moshe – Hi Way Babe by Archway) was bred by Darren Burrington and was stakes placed on debut in the Listed Maribyrnong Trial Stakes at Flemington in October. He is the final foal of a mare closely related to stakes winning sprinter-miler Reckabar. “He showed a bit earlier this season and backed it up today,” Sell said. Moshe (Bel Esprit) is a brother to Black Caviar and a half-brother to All Too Hard. He stands at Sun Stud for an $11,000 (inc gst) service fee. A couple of Written Tycoon winners at the Gold Coast heralded the beginning of a hot few days for the Woodside Park sire. 2yo Rich Affair and 3yo Mysticism both saluted on the eve of the Magic Millions National Weanling Sale where Written Tycoon weanlings were averaging almost nine times his 2014 service fee. Rich Affair reinforced Written Tycoon’s lead at the top of the Australian 2YO Sires’ premiership with a debut win at the Gold Coast on Saturday. Trained by John & Chris Meagher, he sat outside front-runner Torre Saracino and then accelerated to win the Draculas Maiden (1200m) with plenty in hand under apprentice Sairyn Fawke. Written Tycoon has now sired the winners of 16 juvenile races in Australia this season for more than $4.1 million in prizemoney. He’s also a Top 5 NZ 2YO Sire thanks to Group 1 winning filly Luna Rossa. “It was an excellent win and Sairyn rode the perfect race, just allowing him to run at his own tempo and get into a nice rhythm,” co-trainer Chris Meagher said. Rich Affair is the first named foal from Courtship (Danzero) who is a half-sister to South African stakes performer Satin Silver (Commands). BRC Chairman Neville Bell bred and sold him for $75,000 at the 2015 Magic Millions March yearling sale and he retained a share with a syndicate of stable clients. On the same racecard, the 3yo Mysticism made it two wins in a row when scoring in a Class 1 1400m race. She was bred by Northern Lodge Stud in Victoria. This offering is available to all breeders, however bidding can only be done by registered users of the “Everyday Auction” platform. The Show Goes On lived up to his name with a front-running victory at Gawler in the Sportsbet Cash Card Plate (1211m) on Wednesday. 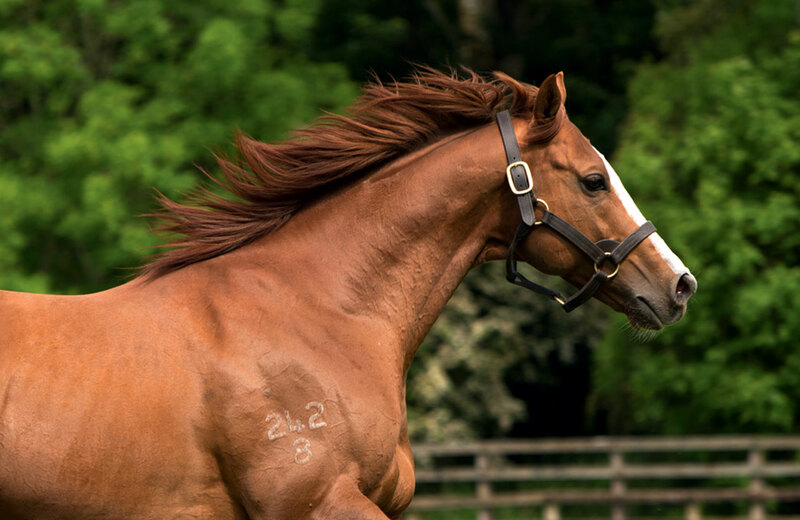 The win by the sibling to dual Group 1 winner Trust In A Gust was the latest encore for Swettenham Stud shuttler Equiano (Fr) who started the week with English stakes winner The Tin Man. The Show Goes On is a younger half-brother to Group 1 star Trust In A Gust who has returned home to cover his first book at Nagambie this year. They are members of a Swettenham family going back several generations. Their dam Subtle Breeze is a three-quarter sister to Balanchine (Storm Bird), a Robert Sangster bred filly who won the 1994 Irish Derby and English Oaks. Swettenham owner Adam Sangster bought Subtle Breeze during a Keeneland dispersal of his father’s bloodstock portfolio in November 2007. The Show Goes On (3g Equiano – Subtle Breeze by Storm Cat) started an odds-on favourite second time out at Gawler and trainer Lloyd Kennewell believes the bare facts of a narrow neck victory don’t do him justice. “It should have been a much bigger margin,” Kennewell claimed. “He led them up and I thought he would race right away in the straight. But it was a Heavy 8 and it wasn’t easy in that going. Subtle Breeze’s 2yo is named Artistic Design (Master Of Design) and trainer Lee Freedman had G1 Blue Diamond designs for the colt before he went shin-sore. Swettenham sold the mare’s yearling colt by Pierro to Belmont Bloodstock agent Damon Gabbedy at the Melbourne Premier in March and her latest foal is a filly by Equiano. Equiano has been on fire in England this year where he leads all third-season sires for wins just two months into the season. And The Show Goes On sent his Australian second-season wins tally to 32 on Wednesday. That was increased to 33 wins with the Pat Cannon trained Punt Club scoring at Geelong on Friday. Swettenham Stud stands Equiano for a $13,750 (inc gst) service fee. It was a timely announcement in late April that Onemorenomore was to be relocated to Ridgeview Park Stud. Since that time, the up-and-coming young stallion has been represented by a flood of winners. On Sunday 22nd May, three-year-old fillies Aali Mia and Clandestine Affair impressively wons their maidens at the Strathalbyn meeting. This double was followed this past Saturday with wins by members of the sire’s 4yo crop, Just One Wish and The Cabarita Kid. The sire now has 42 winners for the season and more than $1.34 million in earnings across Australia. Having her first start, the Richard Jolly trained Clandestine Affair was kept safe off the back of winning trial form and she did not let her supporters down, recording a dominant victory over 1105m. Aali Mia meanwhile was racing over a mile and she too found the line in determined fashion for Morphettville trainer Lloyd Kennewell. Before the Strathalbyn double there wins for several other Onemorenomore progeny in the past fortnight. Morova Miss had proved too strong in winning at Kilmore, Magic Panther drew clear to claim his maiden at Kembla Grange and Warwick Avenue resumed with a smart victory at Tamworth. Meanwhile Onemorenomore’s classy daughter Onemorezeta looks close to another black type victory having been a gallant second (after being forced wide turning) to the in-form Danish Twist in the Group 3 Dark Jewel Classic at Scone a couple of weeks ago. With his oldest progeny only four, Onemorenomore has it all ahead of him and he has a very nice crop of two-year-olds which includes Capanello (second in the Listed Blue Diamond Preview at debut), the recent impressive Randwick trial winner Whitula (trained by Gai Waterhouse), the winner One More Tisha, the four times placed More Thunder and Somethingmore who was a close up fifth in last weekend’s Gr.3 National Stakes at Morphettville. Also a member of Onemorenomore’s juvenile crop is Om Nom who was doing her best work late at her first two outings including a fifth to the subsequent Blue Diamond winner Extreme Choice. Om Nom is trained by Michael Kent who has plenty of time for the Onemorenomore breed – “we’ve only had a few in the stable but they all have ability, they are natural runners,” he said. A particularly good looking son of Red Ransom, Onemoremomore was a Group One winner of the AJC Champagne Stakes at two – going on to prove competitive with the best at three and gutsy when taking on the older horses, finishing third in Road To Rock’s George Main Stakes. An $800,000 Easter graduate (his sire’s third highest priced southern hemisphere bred yearling), Onemorenomore is a half-brother to the stakes winner Dr Green out of the Gr.3 winning Last Tycoon mare Palia, full sister to the dam of the Gr.1 winning successful sire Casino Prince. Also new to Ridgeview Park this spring is Redoute’s Choice’s reliable son Al Samer whose progeny are racing in great heart, Berisha taking out the Listed Mornington Cup and Issawi winning his last two by wide margins in Tasmania whilst the promising two-year-old Peeking Duck was impressive flashing home to win her second start at Cranbourne a couple of weeks ago. Also the sire of recent winners Another Largo, Fort The Fight, Qabla and Classy Al, the Black Opal Stakes winning Al Samer is a proven stallion having sired the stakes winners Mr Chard, Underestimation and Le Remas. 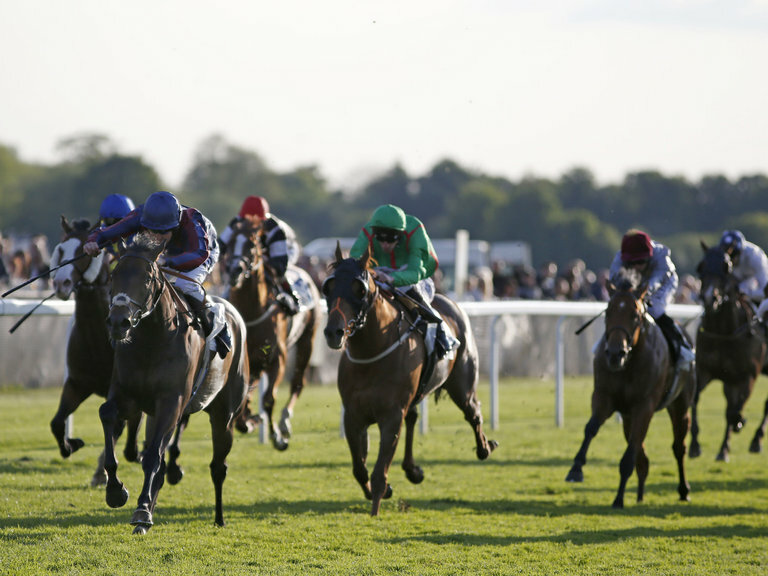 A Group 1 race date awaits Equiano gelding The Tin Man following his winning seasonal return in the Listed Leisure Stakes (1200m) at Windsor, UK. The James Fanshawe trained four-year-old showed he’s heading in that direction when enhancing his progressive profile on Monday. He was last seen finishing fourth in the G1 British Champions Sprint at Ascot last October. The Tin Man (4g Equiano – Persario by Bishop Of Cashel) firmed into $9 for the Group 1 Diamond Jubilee Stakes at Royal Ascot following a decisive two-length victory over Watchable (Pivotal) and Naadirr (Oasis Dream). Fellow Equiano stakes winner Strath Burn was an encouraging seasonal first-up fourth. “It’s really good to get that first run under his belt and he will keep coming on,” Fanshawe said. “He improved so quickly last year and ran a very good race in the Champions Sprint. Equiano topped the 2015 English second-season premiership for wins (64) defeating Zebedee (61) & Paco Boy (51). And he’s at the top again this term with the winners of 23 races. It has been a good winnning run for Ridgeview Park’s stallion Golden Snake of late. The regally bred multiple Group One winner has been represented by a number of up-and-comers including recent winners Blue Viper and Vanilla Gold. 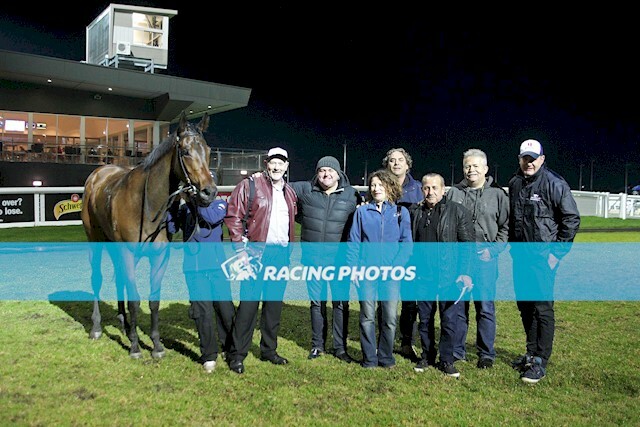 An odds-on favourite at Ararat last Thursday, the Mitchell Freedman trained Vanilla Gold (bred by Terang’s Heffernan family) was having just her fourth start and she could not have been more impressive stepping up to 2000m for the first time. Swamping her rivals from back in the field, the three-year-old stamped herself as a horse to follow and Freedman is looking forward to testing her at metropolitan level. “It is a shame she wasn’t up and going earlier,” Freedman said, noting that the South Australian Oaks would’ve suited the chestnut. The Henry Dwyer trained Blue Viper (bred by Warrnambool’s Andrew Rylance) meanwhile was able to record the second success from seven starts when doing a great job under the considerable steadier of 61.5kg. Despite carrying 6.5kg more than the runner-up, Blue Viper was strong to the line third up over 1700m and he too looks ready to progress the further the ground he gets over. Both Vanilla Gold and Blue Viper are raced by their breeders, proving that Golden Snake is the ideal owner/breeder horse – a proven stallion whose runners earn an average of over $42,000 each. 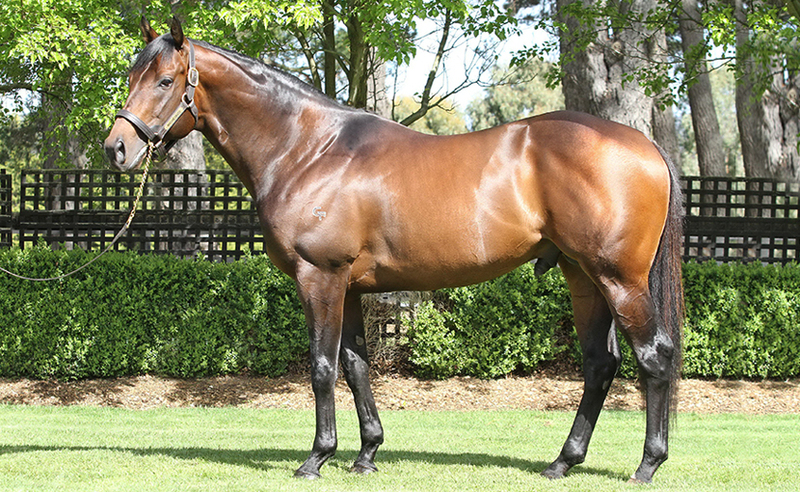 The sire of local stakes winners Gilded Venom (WA Horse Of The Year), Hissing Sid, Antidotes and Vipera Gold, Golden Snake (who boasts progeny earnings in excess of $10 million) has also been represented by the Italian Gr.1 winner Quiza Quiza Quiza and the two times Singapore Gr.3 winner Super Gold. Other Golden Snake progeny in recent winning form include Aagas (a metropolitan level winner over 2400m), Strikes Twice, Snake Farley (a home-bred for Ian Bell’s Campolina) and Hissing Sid’s promising brother Dusty Mamba. 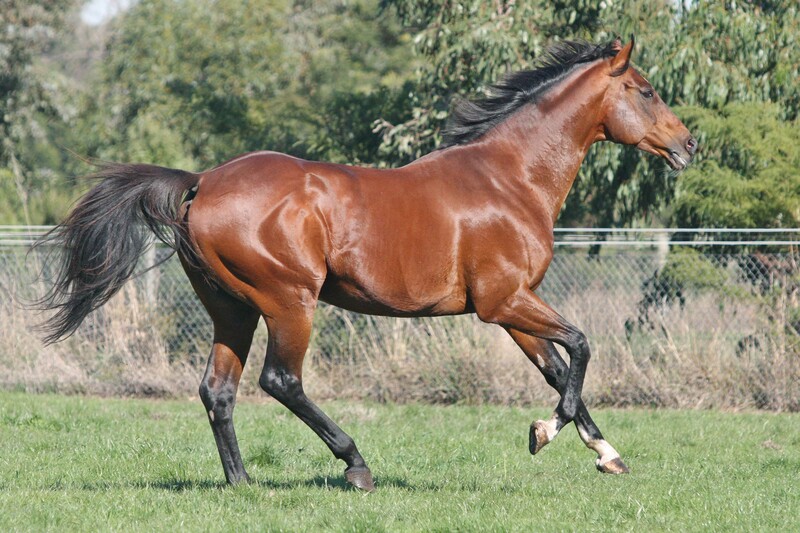 For further information on Golden Snake – who stands this spring at a fee of $3,300 (incl gst, free return – payment terms available on request) contact LP Stallions’ Julie Nairn (0402 901 910) or Ridgeview’s Phil Sloane (0488 525 063). A strong mix of proven sires, up and coming young sires and first season sires make up the recently launched IRT Victorian Stallion Roster for 2016. 107 Victorian based sires are listed on the roster, developed by Thoroughbred Breeders Victoria including six exciting first season sires as well as a couple of proven sires moving to Victoria. Broodmare owners are encouraged to visit the stallion roster to see the top quality sires on offer this coming breeding season. TBV’s stallion roster is once again kindly supported by renowned and trusted international horse transport company, IRT. “IRT has been a proud partner of the Victorian breeding industry for more than 40 years,” said IRT Managing Director Chris Burke. “IRT and its expert personnel will fly in more than a dozen shuttle stallions from the Northern Hemisphere to stand at Victorian farms this season. “This is in addition to the hundreds of broodmares, yearlings and racehorses we import and export on behalf of our valued Victorian clients every year. 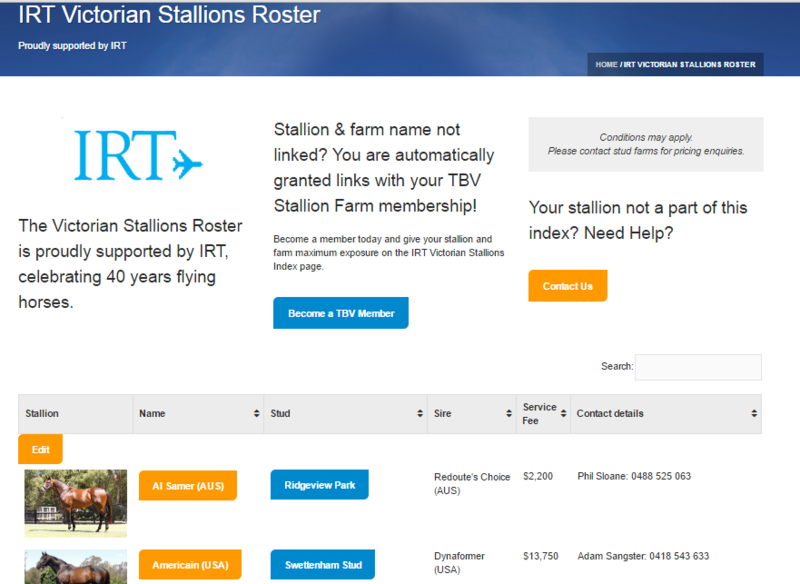 Visit the IRT Victorian Stallion Roster on the TBV website. Cranbourne trainer, Nikki Burke, was recalling the 2011 Inglis VOBIS Gold Yearling Sale and her conversation with Victorian breeder, Richard Pietrykowski, regarding the Niello filly from the well related Anabaa mare, Magda. That proved to be a very good move on Burke’s part given that ‘her’ has now banked $428,135 in prizemoney from five wins and 12 placings, including Saturday’s Listed Straight Six at Flemington. ‘Her’, as it turns out, races by the name of Nautical and aside from giving Burke a second stakes victory with the mare via the Straight Six (following the mare’s previous stakes win in Hobart earlier this year). “She may go to Brisbane or I might give her a couple of weeks off and aim her at the Bletchingly (Stakes),” Burke said. “I’ve always bred to sell and raced those I couldn’t sell. I actually raced the full sister (Panacea) with Nikki: the filly had ability, but experienced the thumps (horse hiccups) in two of her six starts and had to be retired. “Nautical was a better type though, so I was pretty firm on the $10,000 reserve. Good luck to Nikki. She’s ended up with a very good horse and at the end of the day, you can’t keep them all. “I’ve always kept a close eye on Nautical’s progress though and backed her for some decent money on debut. She was paying $20 and was second across the line. The jockey protested, but it wasn’t to be. That’s racing. Sadly for Pietrykowski he has no way of replicating the Nautical mating as both Niello and his mare, Magda, have since died. “I take some pride in that of the three stakes winners produced by Niello, I bred two of them. Nautical and (2016 Flemington stakes winner) Tried And True. “Plus, that family of Nautical’s has been very good to me. Magda is a half sister to Group One winning 2yo, The Heckler, who took out the Manawatu Sires’ Produce Stakes in New Zealand, while another of the horses I bred, Choice Bro, won the same race three years later. “(2015) Railway Stakes winner, Good Project, is another of the horses I bred, as is Group One Hong Kong Mile winner Glorious Days. Who knows? Maybe he might sail away with a fifth! Darley Victoria’s first crop sire Helmet broke into black-type ranks when Archives claimed the Listed Hampden Stakes (1200m) at Doomben on Saturday. The stakes win puts him as one of only two first crop sires to get a black type winner this Australian season. The other is Sun Stud’s Moshe who had Moshki win the Listed Cinderella Stakes in Adelaide. Helmet has already sired four European winners (from just 6 runners) from his first Northern Hemisphere book (based at Darley’s Kildangan Stud) Stud and Tarnham opened his Australian account at Dalby last month. Archives (2c Helmet – Preserve by Canny Lad) atoned for an unlucky third on debut at Rosehill a fortnight ago to beat Jericho by a head. He settled just off the speed in the early stages before stable jockey James Mc Donald found a run along the rails in the straight. “He’s still learning and went on with it when challenged which was very encouraging,” trainer John O’Shea said. O’Shea was referring to the Listed Phoenix Stakes at Eagle Farm on June 4 although the Group 1 J J Atkins Stakes on June 11 is still an option. Owner Sheikh Mohammed completed the Hampden Stakes – J J Atkins Stakes double with his Lonhro colt Benfica in 2011. Darley’s Australian general manager Henry Plumptre was looking even further ahead to when Archives returns as a three year-old. Archives is a three -quarter brother to Group 3 winning sprinter Safeguard (Exceed And Excel). He is also a half-brother to Group 2 placed filly Shaumari (Medaglia d’Oro). Their Group 1 VRC Sires’ Produce Stakes winning dam Preserve is a half-sister to Group 1 Golden Rose winner Denman. Helmet (Exceed And Excel) was a Group 1 winner of the ATC Sires’ Produce Stakes and Champagne Stakes and returned at three for a front-running victory in the Group 1 Caulfield Guineas. 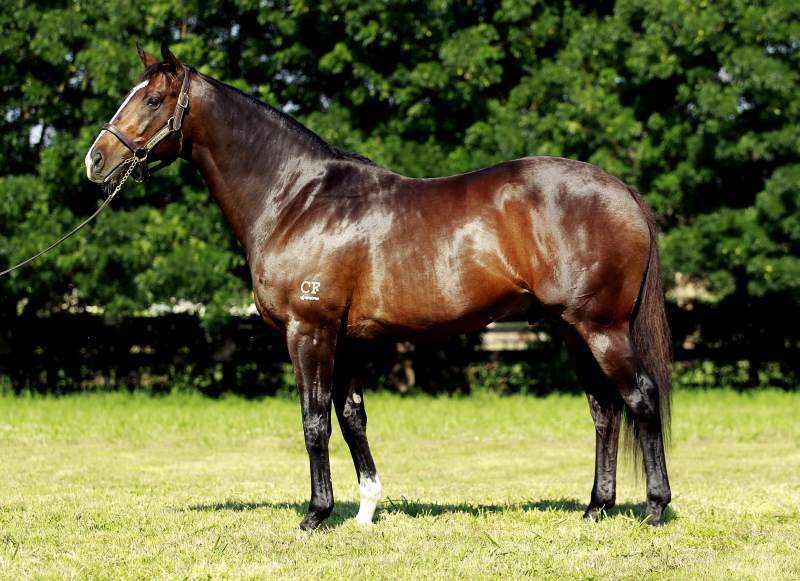 He will stand the coming breeding season at Northwood Park in Seymour at a fee of $16,500 (inc gst) alongside his paternal half-brother Kuroshio ($8,800 inc gst). Spendthrift Australia (based at Kerrie in the Macedon Range) has set fees for its current roster of four stallions that will stand the 2016 breeding season. All payable live foal fees remain the same as in 2015, and Spendthrift Australia has introduced the option of the “Breed Secure” program for all its stallions. “We learned a lot in our inaugural season a year ago, and have invested further into our team and into our programs for 2016,” said Garry Cuddy, general manager at Spendthrift Australia. “The team here is delighted and eager to get to work with breeders, both local and interstate, and we invite everyone to reach out to meet the team, visit the stallions, and get to know how the Breed Secure program works. Breed Secure offers breeders the ability to breed a mare to a Spendthrift Australia stallion with no fees due until the sale of the resulting horse at public auction. The key difference between Breed Secure and a standard foal share deal is that Breed Secure only allows for Spendthrift Australia to get back the maximum value of the stud fee. Any sales proceeds over the amount of the stud fee are realised as pure profit to the breeder, allowing Breed Secure to offer breeders limitless upside on a good sale result. Breed Secure also offers other attractive features designed with the breeder in mind. The breeder will choose whether to sell the resulting offspring as a weanling or as a yearling at public auction. After the sale is made, the first sale proceeds automatically go to the breeder up to a certain threshold. Breeders will earn the first $6,000 for a weanling sale, or first $12,000 for a yearling sale, before Spendthrift is eligible to recoup any of the stud fee. Breed Secure also protects breeders by offering forgiveness of any shortcomings of a sale, which is designed to limit the amount of risk and loss for the breeder. Breed Secure becomes the latest breeder-friendly program to be offered by Spendthrift Australia, the Victorian-based stud farm that debuted a year ago along with its “Share The Upside” program. For more information about the Breed Secure program, or about any of Spendthrift Australia’s stallions or programs, please contact Garry Cuddy at +61 410 451 595 or Josh Rix at +61 499 880 855, or visit Spendthrift.com.au. The 2016 Inglis Great Southern Sale is set to offer the largest selection of weanlings in the Southern Hemisphere, and going on the most recent pinhook results the sale should be at the top of the list for all astute investors. 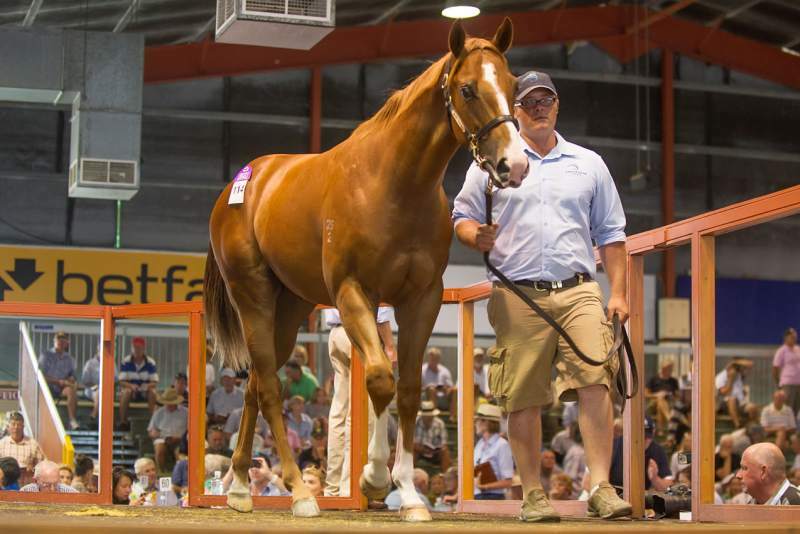 Profits of up to half-a-million dollars have been generated at this year’s yearling sales from purchases at the 2015 Great Southern Sale, while the value of others increased up to ten times their weanling purchase price. 405 weanlings, including 290 in the Platinum Session with X-Rays available for viewing, have been catalogued for sale on Sunday 19 and Monday 20 June 2016, and two buyers that will definitely be there are TBV members Steve and Ceri Jostlear of Ampulla Lodge. Ampulla Lodge set a new Great Southern Weanling Sale record last year when going to $300,000 for a colt by Exceed And Excel from Common Smytzer that was offered by Makybe. Six months later the Jostlears sold the colt for $500,000 more, with George Moore Bloodstock and China Horse Club going to $800,000 to purchase the colt as a yearling. “The Exceed And Excel colt was really special, but we try to buy at a range of different budgets. Typically we look at every colt, and there is definitely value to be found at every level at the sale,” said Ceri Jostlear. Another great pinhook result for Ceri and Steve was with a son of Smart Missile out of Rain Shadow which they purchased for $130,000 at the Great Southern Weanling Sale and sold for $320,000 to Malaysian interests Tan Sri Vincent Tan and Dato Seri Robin Tan at the Inglis Premier Yearling Sale. The story of Three Bridges Thoroughbreds’ yearling manager Karen Sinclair and ‘Roger’ has been one of the many highlights among a tremendous yearling sales series in 2016, as their $32,000 Great Southern Weanling buy bloomed into a $340,000 yearling. Three Bridges, via bloodstock consultant Paul Willetts, purchased the colt by Teofilo from Serious Rock out of the draft of Hillside Thoroughbreds at last year’s Great Southern Sale. Then when re-offered at the Inglis Premier Yearling Sale the colt sold for over 10 times his weanling price when bought by Lance O’Sullivan for his Wexford Stables. Weanlings on offer at the upcoming sale are by a first-class collection of stallions including 55 Victorian sires. In particular, weanling buyers will have the opportunity to secure progeny from seven individual first season Victorian sires Unencumbered, War, Fiorente, Polanski, Kuroshio, Fighting Sun and Niconoise. Proven Victorian sires represented in the weanling section include Written Tycoon, Magnus, Reset, Reward for Effort and Street Boss. Woodside Park Stud in partnership with Inglis Digital would like to remind all breeders that the first of the final 5 Written Tycoon nominations is now live on Bloodstock.com.au‘s Everyday Auctions. “Just over a week ago we saw the Lindsay Park trained 2yo Blue Tycoon smash his rivals at Caulfield, which was shortly followed by Bjorn Baker’s colt Winning Rupert extending his unbeaten record with victory in the Group 2 Champagne Classic at Doomben,” said Matt Tillett of Woodside Park Stud. In a season where Written Tycoon has sired eight individual Stakes Winners, two of which being Group 1 winning two-year-olds (Capitalist and Luna Rossa) it is not surprising that he was the fastest stallion to be fully booked this year. “We have been overwhelmed with applications from many of the best breeders wanting to send some of the very best mares in the country to Written Tycoon,” added Tillett. All five nominations will be unreserved and will be payable on Woodside’s standard payment terms. 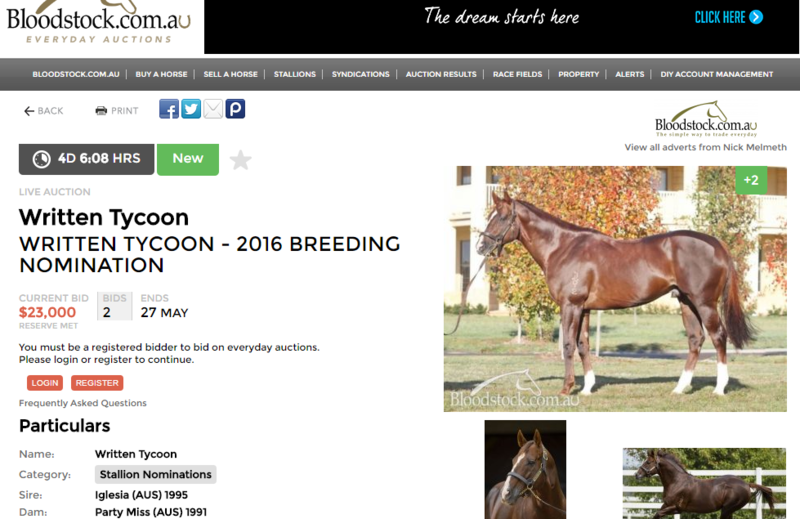 This offering is available to all breeders, however bidding can only be done by registered users of the Bloodstock.com.au “Everyday Auction” platform. Rosemont Stud proprietor Anthony Mithen was upbeat after watching his stallion prospect Nostradamus in the Group 1 Goodwood (1200m) on Saturday. Nostradamus (by Medaglia D’Oro) finished out of the money behind Black Heart Bart, nevertheless, Mithen was looking on the bright side with the Group 1 Stradbroke Hcp still an option next month. “Very proud of our good-looking lad. He drew the car park but kept coming. It was a massive run at Group 1 level,” he said. Mithen identified the four year-old as a perfect addition to Rosemont’s roster following the transfer of Starspangledbanner and retirement of Danzero. “He’s a smashing sort and picked himself,” Mithen said. Nostradamus won a Flemington juvenile on debut and his first stakes win came as a spring three year-old when taking out the Group 3 San Domenico Stakes (1100m) in Sydney when the beaten division included Wandjina and Hampton Court. He trained on to win the Group 3 Gold Coast Guineas later in the season and added another Group 3 in the Irwin Stakes at Morphettville last month. 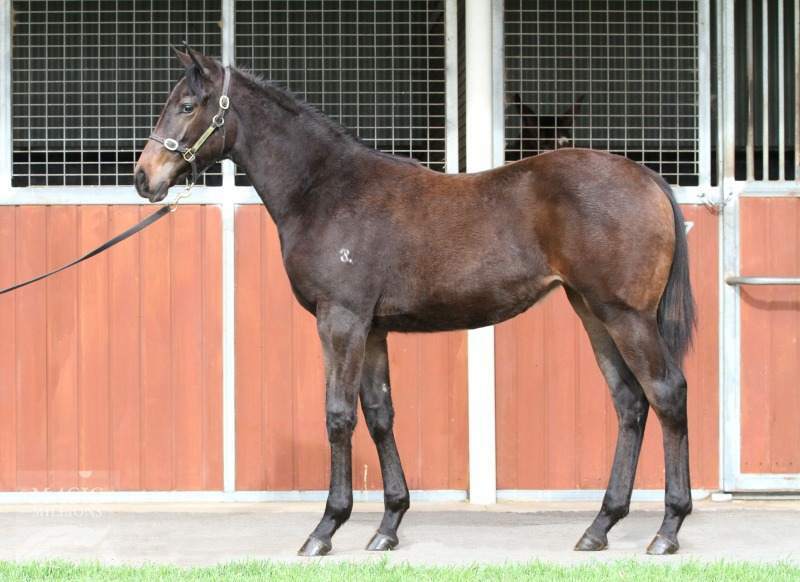 Nostradamus is a younger half-brother to Star Witness and cost $500,000 at the 2013 Inglis Easter yearling sale. His dam Leone Chiara (Lion Hunter) is a stakes winner sister to Ferocity (G2 Ascot Vale Stakes) and Chinchilla Rose (G2 QTC Cup). “He was hot property when I approached Eric Koundouris with an offer after the San Domenico,” Mithen recalled. Nostradamus has attracted numerous high-profile Victorian breeders and his shareholders include Musk Creek Farm, Glentree, Princeton Thoroughbred Stud, Dorrington Farm, Saconi Thoroughbreds, Lauriston Thoroughbred Farm, Hollylodge Thoroughbreds, Oakford Thoroughbreds and several others. “He already has a book of more than 60 mares,” Mithen said. 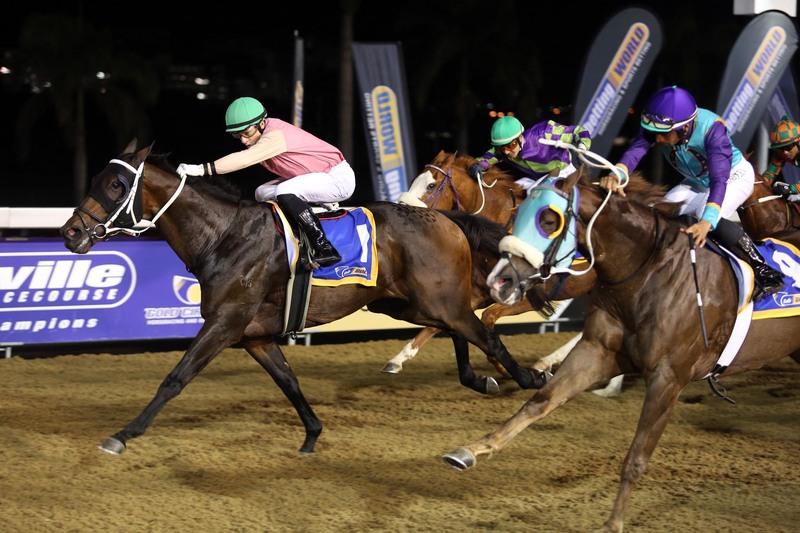 Victorian-bred sprinter Fantasy Art won again for Modewarre stud Ladyship Lodge at Greyville, South Africa on Friday night. Fantasy Art is by Sun Stud stallion Wanted and cost $40,000 at the 2013 Inglis Melbourne Premier yearling sale. He was purchased by leading South African trainer Tony Rivalland from Bill Cockram’s Shadow Glen consignment at Oaklands. “We sold him through Bill who is our next-door neighbour,” Ladyship Lodge’s Richard Gamble recalled. Fantasy Art is a member of Wanted’s first crop and his dam Artist Johanna (Festin) won a Group 2 in Argentina before transferring to New York where she was successful at Saratoga and Aqueduct. Gamble and his partner Joanne Arneill are on the cusp of an exciting future at Ladyship Lodge which sits on 500 acres and is also home to a harness racing stable. Among their more recent breeding stock buys was USA bred mare Randaroo (Gold Case) who was a Group winner at Pimlico, Gulfstream, Belmont and Aqueduct. She was offered by Coolmore Stud at the Inglis Broodmare Sale earlier this month and was sold in foal to Uncle Mo. 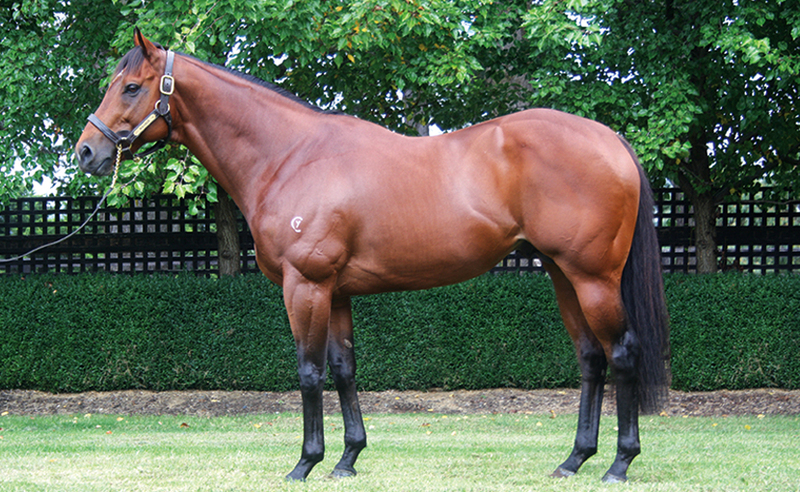 They also bought the broodmare, Itemise (USA), at the 2014 Magic Millions National Broodmare sale from Darley. Since then, her 3yo Tally has gone on to win two Group 2 races and place 3rd in the 2016 Australian Derby during The Championships. She has been mated to Darley’s Bernadini over the past three seasons while owned by Ladyship Lodge. The Ladyship Lodge team will also be at the Magic Millions National Sale next week to stock up with more broodmares for its go-ahead nursery at Modewarre. Bombora Downs is thrilled to announce that the internationally performed racehorse Dandino will be standing at the Victorian stud on the Mornington Peninsula in 2016. Dandino proved himself as one of the best 2400m horses of his time travelling to five different countries and running to an international rating of 115. 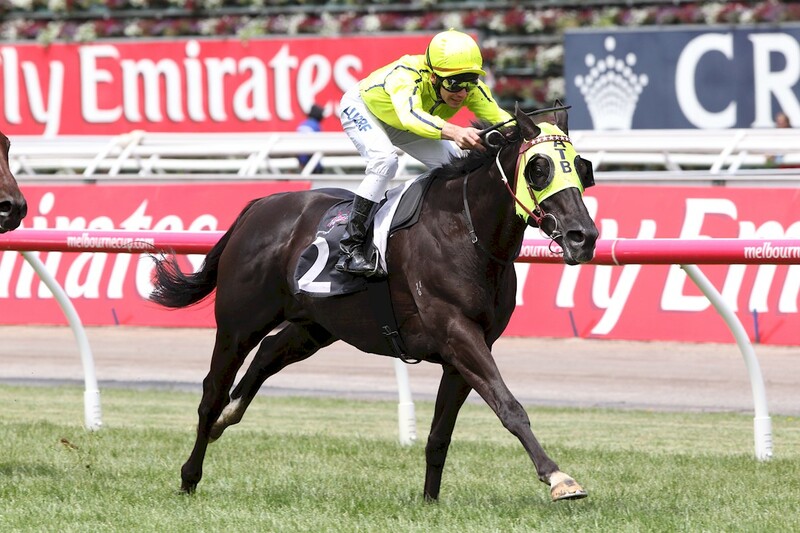 His highlight win came in the time honoured open age challenge, the Group Two Jockey Club Stakes at Newmarket on Guineas Day, but it was in the Group One Caulfield Cup under the tutelage of Marco Botti that Dandino exposed his brilliant turn of foot to Australian racing fans. Having drawn a wide barrier, jockey Craig Williams had no other choice but to settle back in the field. Whilst the winner took advantage of a split in the field, Dandino went around the outside hitting the line at astonishing speed. Upon returning to England, Dandino failed to get the firm track conditions he required and eventually this preparation was ruined by injury. In a testament to his nature, after nearly a year out, Dandino returned to racing under Victoria’s master trainer Darren Weir to attempt to win one of the Cups in his final preparation. 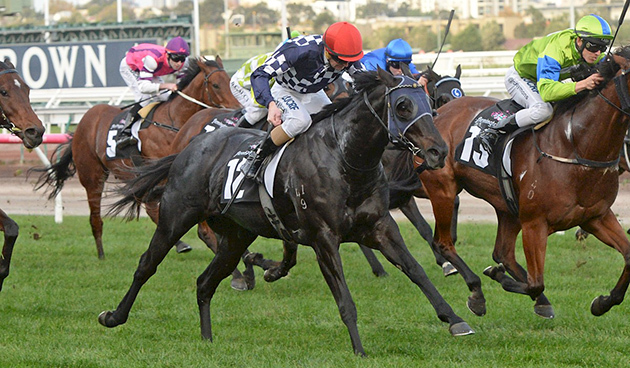 A huge run saw him finish just a length away from winning the Group One VRC Turnbull Stakes over 2000m. Unfortunately with his time away from the track, the handicapper could not allocate Dandino enough weight for Dandino to secure a run in the 2015 Melbourne Cup, so the Group Three VRC Queen Elizabeth Stakes on the final day of the carnival was his renewed target. He duly put the sword to a high class field. 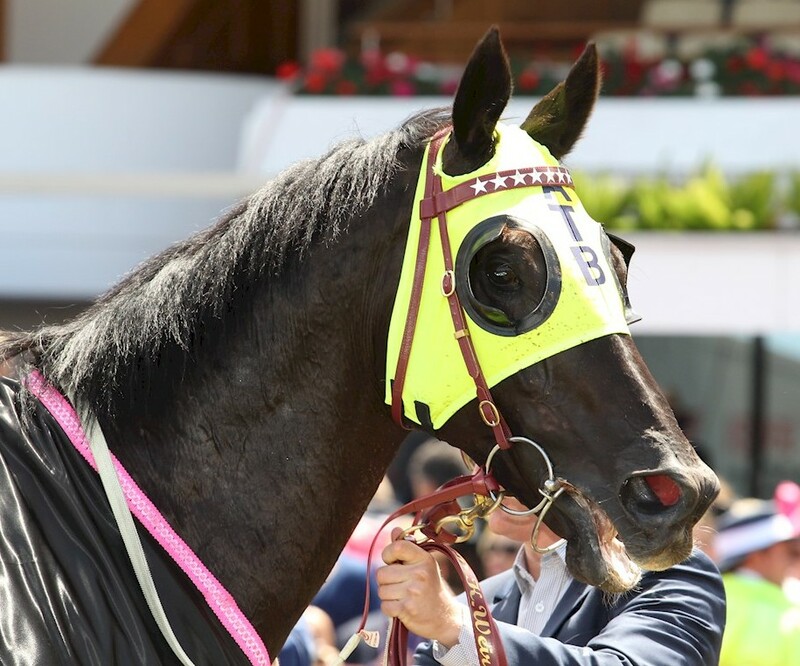 “Dandino has a terrific temperament and the turn of foot he showed was fantastic, something you rarely see in a horse with his stamina,” Darren Weir said. Dandino is a son of one of the world’s great sires in Dansili. Dansili himself is responsible for nineteen Group One winners and over 100 stakes winners at a rate of 12% winners to runners. He is an emerging sire of sires through the deeds of Zoffany who was the Champion First Season Sire across the UK/Ireland in 2015. Dansili is the sire of Australian Group One winners Foreteller and Grand Marshal amongst his eleven stakes winners in this country. His full brother Champs Elysees is the sire of international star Trip To Paris who, like Dandino, placed in the Caulfield Cup. Dandino will be available to view by appointment as of next week. 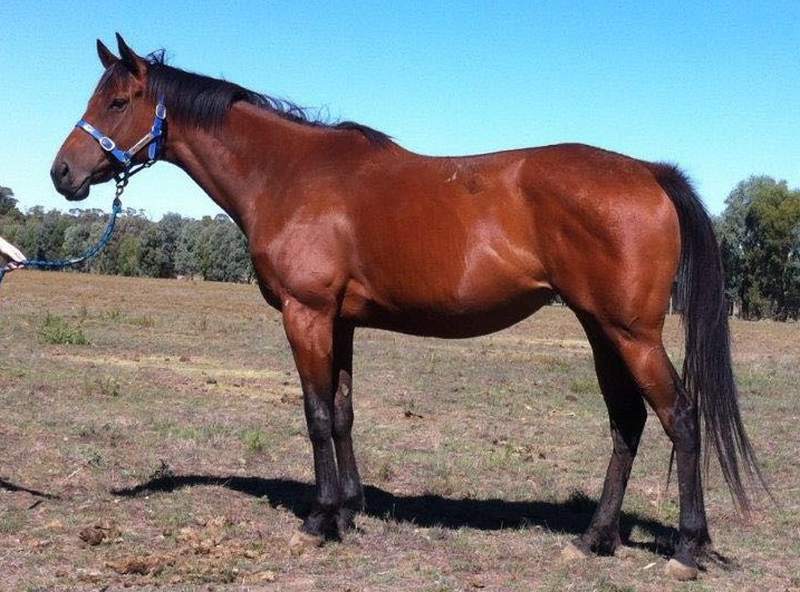 Contact Christoph on 0419 534 961 or Chris on 0449 091 529 for further enquiries or to make arrangements to see the horse. Dandino will be standing at $5000 + GST on 45 day positive, free return terms. Group 1 win for a genuine Victorian product! Magnus galloper Malaguerra will head straight for a million-dollar showdown in the Group 1 Stradbroke Hcp after collecting his first major in the BTC Cup (1200m) at Doomben on Saturday. The 4yo gelding was foaled and raised at Pakenham South’s Ballarto Lodge and becomes their very first Group 1 product. Malaguerra’s dam Tennesse Morn (dec.) was owned by the Sandown Lodge partnership of Lyn Armanasco and John Dickson. The rising sprint star has graduated from a Benchmark 70 at Ballarat to win 7 of his 9 starts since August. He has also banked over $758,000 in prizemoney owner Bruno Micalizzi and the Stradbroke is worth $1 million to the winner. Trainers Lee & Anthony Freedman are leaning towards keeping him fresh for his ‘Grand Final’, the Stradbroke on June 11. Malaguerra is by Sun Stud stallion Magnus from Tennessee Morn (Bletchingly) and cost $32,000 from Ballarto Lodge at the 2013 VOBIS Gold Sale. “He’s the first Group 1 winner off the farm,” Ballarto studmaster Ian Pankhurst said on Monday. “He was bred by Sandown Lodge owners John Dickson and Lyn Armanasco who board a half-dozen mares with us. “They also have mares in NSW but we decided not to send Tennessee Morn to the Hunter Valley due to her age. We walked her on to Eliza Park and foaled her down here at Pakenham South. You would never have picked Tennesse Morn out of a paddock to be a two year old stakes winner or to produce a good horse, but she had speed. “Even as a broodmare, she loved to run. She would often sprint down the end of the paddock away from the mob and then run back fast immediately. 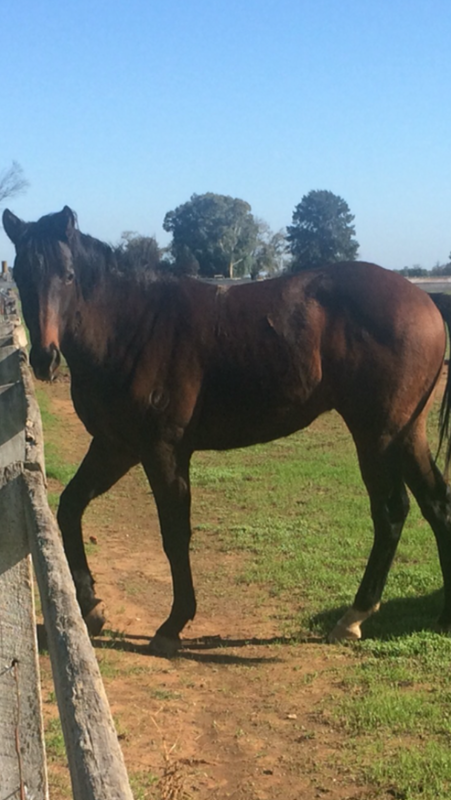 Following Malaguerra, she had a Wanted foal which is now a 3yo and with Nathan Hobson at Swan Hill. Unfortunately, the mother of two stakes winners passed away in March this year. Sun Stud’s Magnus (Flying Spur) sired his first Group 1 winner when Magnifisio claimed the 2014 Winterbottom Stakes at Ascot. His service fee has risen to $19,800 (inc gst) in 2016 – the third hike in as many years following a consistent flow of quality stakes winners around Australia. He looks set to break the 100 individual winners barrier this season, a task only achieved by two other Victorian sires in modern times.